Free icons are a great way to spice up your work with small effort. While some of them are plain useful, others give a project a fun twist. The following collection of free icon sets offers both — payment provider icons just like summer goodness to help you over a rainy day. All icons can be downloaded and used for free. 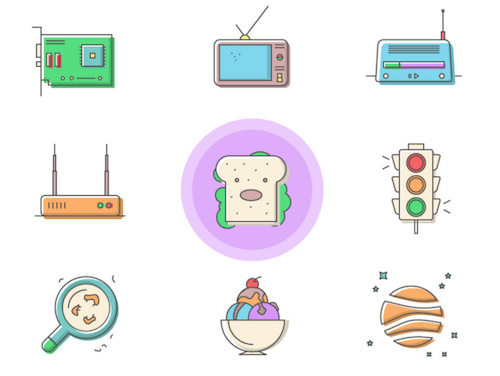 Food Icons is a set of 20 food-related icons, from ice cream to milk to burgers and croissants. The icons are available in Sketch and SVG formats and can be used for both personal and commercial projects. Science Line Icons is a set of 30 vector line icons, all about, well, science. The icons include topics such as physics, space, biology and chemistry and come in AI, PSD, EPS, SVG and PNG formats. You can customize them in size and color to suit your taste. Alerting people about pollution and energy has never been more important as today. Benjamin Belly’s icon set on the topic showcases 24 pictograms for environmental hazards, non-renewable and renewable energy sources, toxic wastes and more. The icons come in AI, EPS, SVG and PNG, and you can easily adjust their color and size. Home appliance and real estate go well together, don’t you think? That’s why Funline icons created an icon set with everything ranging from toasters and dishwashers to “for rent” signs and moving boxes. The set includes 72 icons in total, all of them come in four sizes and multiple color palettes to choose from. Free for both personal and commercial projects. Another fun icon set comes from Pugmarker: the World Landmark Icons. It contains 46 icons representing some of the world’s most famous landmarks, from the Tower Bridge to the Pantheon and the Forbidden City. The icons are available in multiple formats and ready to be used in your apps, web templates, prints, or whatever else you can think of. Vecteezy’s Web Hosting & Technical Support Icon Set includes 36 icons that come in handy for any web hosting related project — think computers, servers, support, for example. 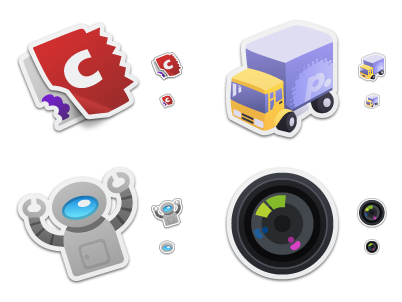 The icons come in AI, EPS, PSD, SVG and PNG formats and can be customized to your liking. Another useful icon set from Vecteezy is all about mobile connections and wi-fi signals. Very handy! The 36 icons come with a modern, flat style, making them a good fit for all sorts of projects. Available in AI, EPS, PNG, PSD and SVG formats and free for commercial and private use. Buatoom’s icon set is a handy mix of e-commerce, business and weather-themed icons. With its flat look and minimalist aesthetic it fits any kind of project. The 40 icons are available in AI and PSD formats. Designed by a team of Egyptian designers, the Summer Icons Package brings summery goodness to your designs, even on a rainy day. Bold, colorful, and fun. Responsive icons? Yes, it’s possible. Icons Responsive provides a set of 24 unique icons, each one of them comes in 8 variations that vary in their level of detail — from simplified black and white versions to a more sophisticated Google Material design look. The 300+ Flat Color Icons package is a useful set for any kind of private or commercial project. Mostly business, media and communications-themed, the cheerful colors give the icons a friendly touch. They won’t suit every project, but they are certainly bound to put a smile on your face: Happycons. The colorful and unique set is fully editable and available as AI, Sketch, PNG, SVG and EPS. Every e-commerce project needs a set of payment icons. 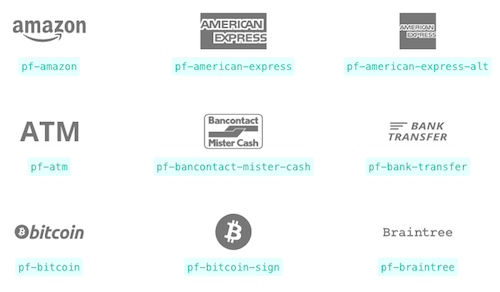 PaymentFont consists of 95 icons of all major payment providers in three different styles. To use them, you simply include the font and CSS files into your project and assign appropriate classes. 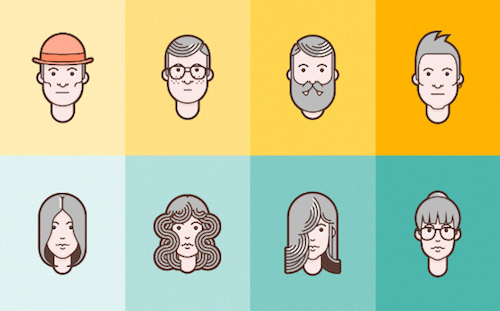 The Material Design Flat Avatar Set includes 10 avatars that you can use for creating personas or picking random default images for your comment section or dashboard. They come in PSD and PNG formats and can be used without any restrictions. 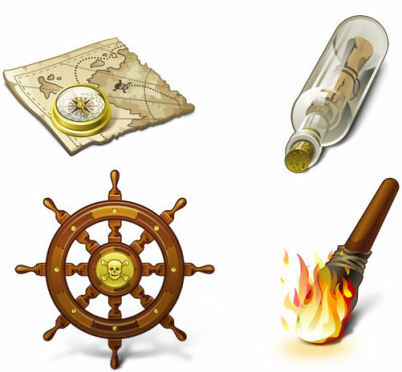 Pirates Icons (.zip) Pirates icon pack, designed by Artua Design Studio especially for Smashing Magazine. The Pirates Theme for Windows desktop and any applications. Sticker Pack (fixed link) This collection contains 41 individual sticky icons with large resources for Vista & Leopard. Designed by David Lanham.